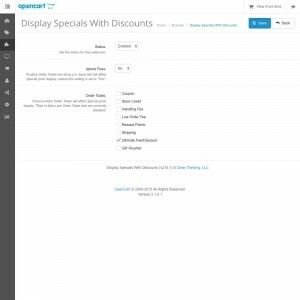 This improvement will allow you to factor any discounts generated by Order Totals into the Special price display of products. 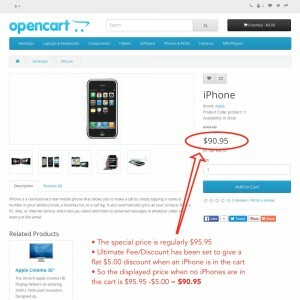 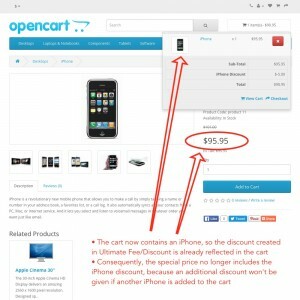 The Special price will reflect any additional discounts given if that product were added to the cart. 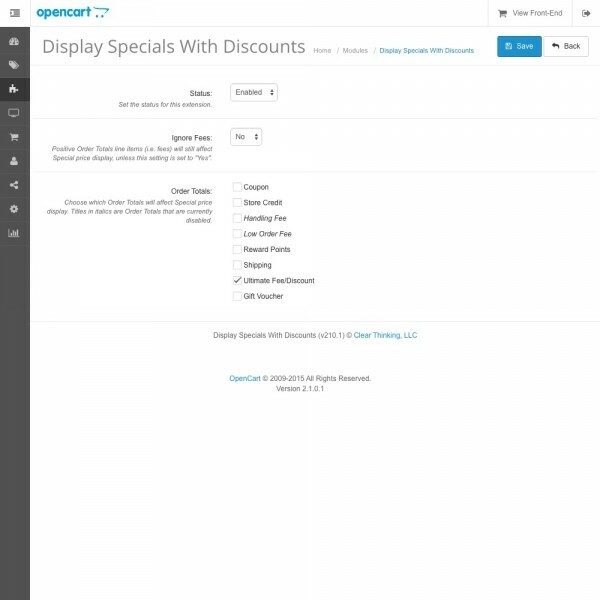 This will accurately include quantity-based, total-based, and other discounts created by extensions like Category & Product-Based Fee/Discount or Ultimate Fee/Discount. 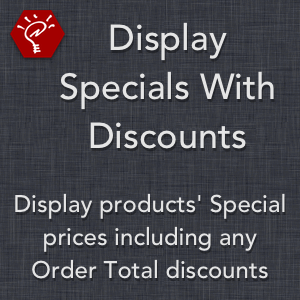 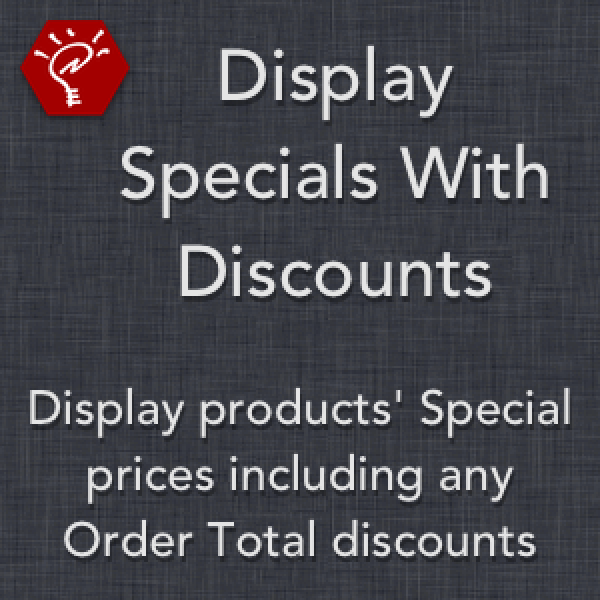 Choose which Order Totals will affect Special price display. Optionally ignore fees, so they do not affect the display. Once the item is added to the cart, the Order Total will properly appear as a line item on the order, and the price display for the product in the cart will reflect its normal Special price.